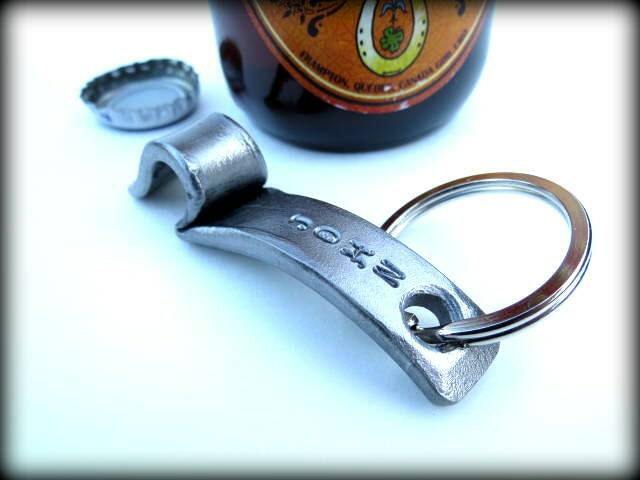 The edges of the keychain bottle opener are all hand hammered resulting in a unique & authentic hand made item. Made from a single piece of flat bar iron, they will be surprised to see their names, initials, etc... stamped "in" the metal. 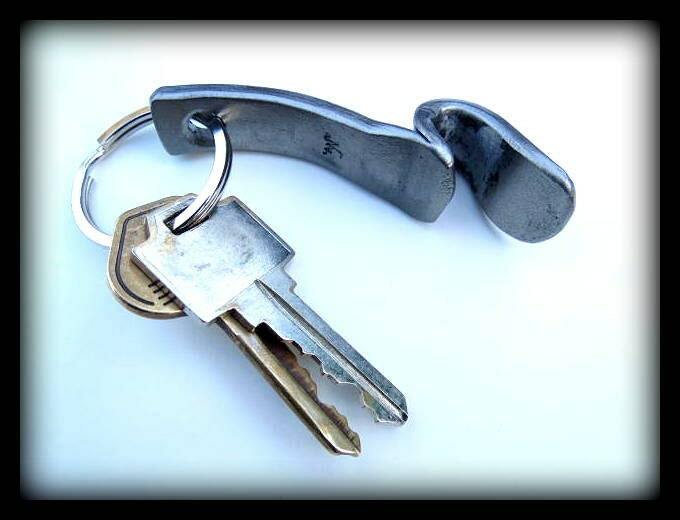 Total lenght of the keychain bottle opener is approximately 3". 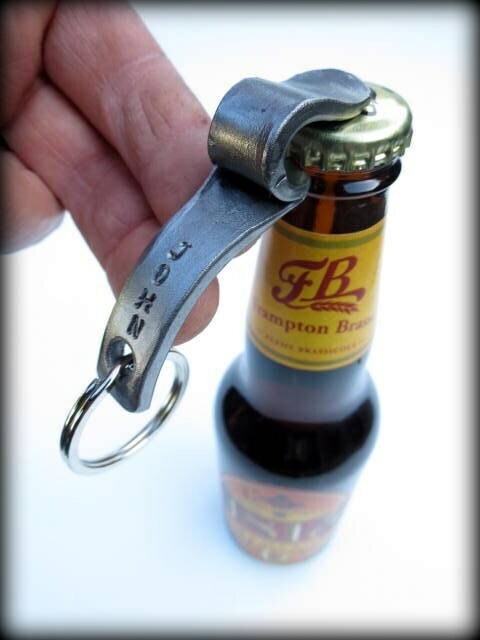 After cleaning, I clear coat the bottle keychain for protection and to keep the raw iron look. 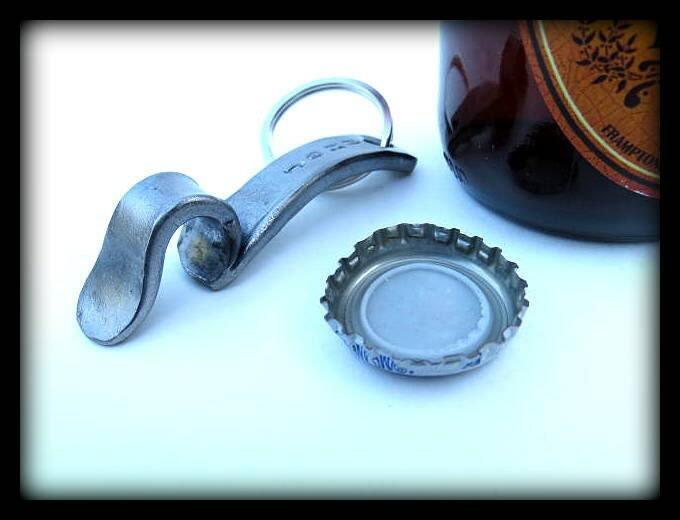 This is a hand made item that will last a lifetimes !